As the work routine and school routine falls back in place after the holidays and break, one thing i’ve been sure to have ready for each day is breakfast. I’m terrible at leaving enough time in the morning to eat or make something healthy, so i need to plan in advance. One go-to breakfast idea I always fall back on is overnight oats. You can prepare them the night before, or at the start of the week, and simply grab one to go in the morning. I like to make a big batch then divide it up into jars so I know I have a healthy, filling breakfast in the morning. The combination is simple – oats, milk and fruit. I particularly love juicy fruit, because it adds to the texture, and of course flavour. I had never thought about using canned fruit in overnight oats, but now I can’t believe I didn’t use them sooner. Canned fruit is bursting with flavour, juicy, and the liquid adds to the creamy texture of the oatmeal. 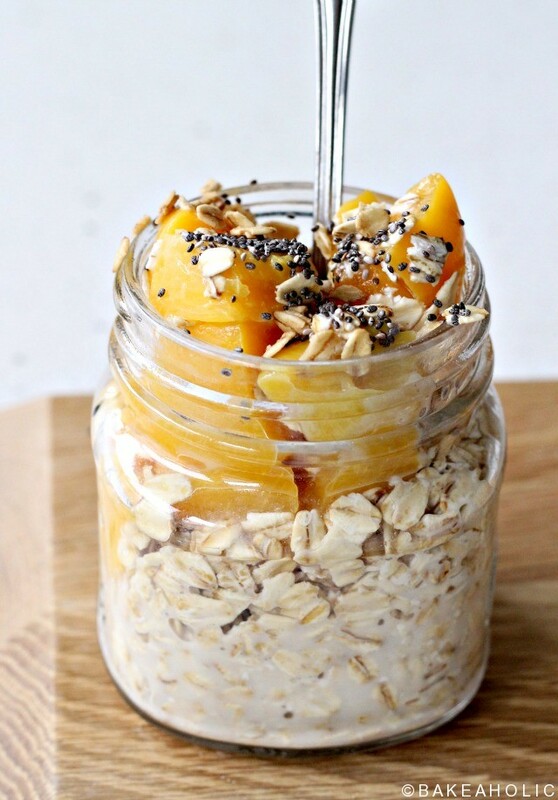 Canned California cling peaches are perfect to use for these overnight oats. 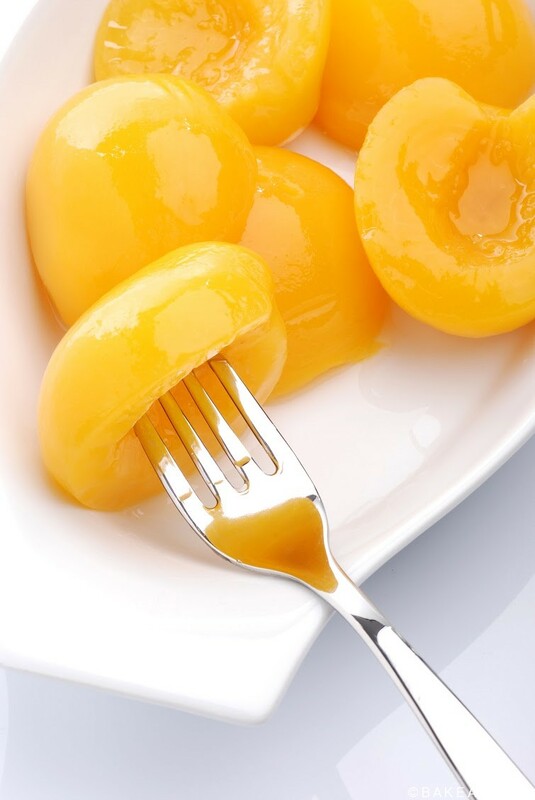 The peaches are full of flavour, they’re soft, and drenched with juices. Did you know, most of the canned peaches in Canada actually come from California? It just makes sense, when you think of California, you think of sunny, warm, bright colours – just like their peaches! 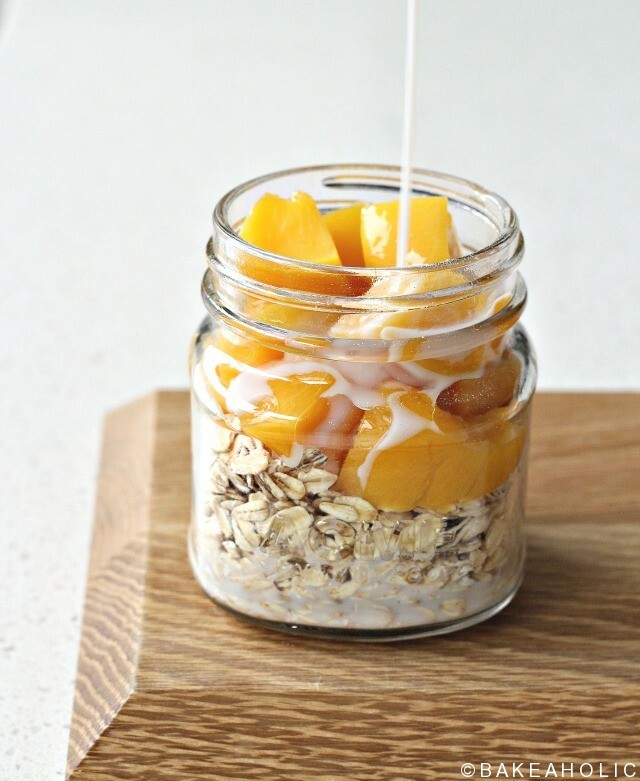 Canned peaches are just as nutritious, if not more nutritious, with high amounts of Vitamin C, Antioxidants and Vitamin E. California cling peaches have no preservatives and are often packed in their own juice – which is why you should add it to the overnight oats! A naturally sweet syrup. A quick breakfast for busy weekday mornings - loaded with nutrition and flavour. 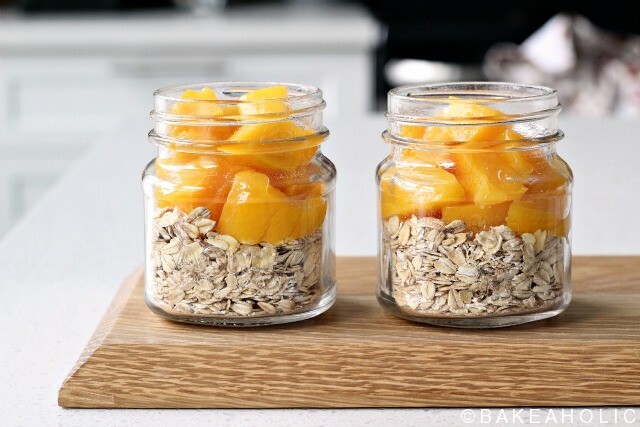 In small mason jars, or small bowls, add 1 cup oats per serving. 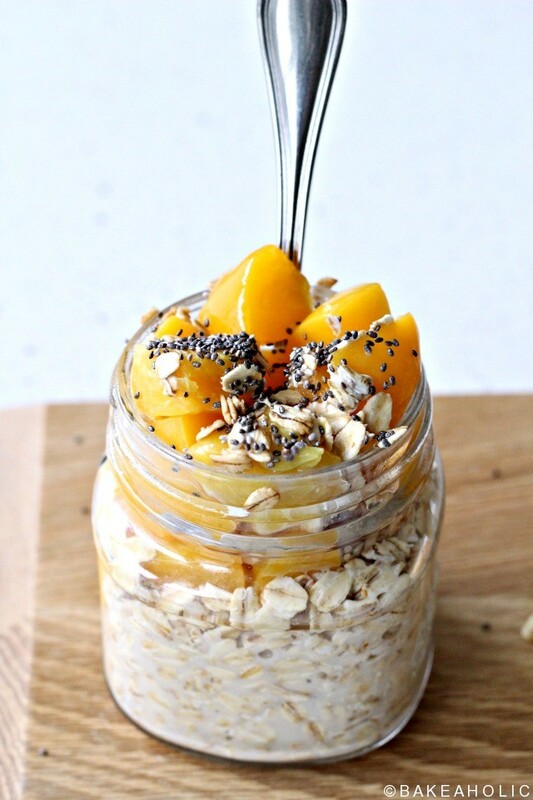 Top oats each with half of the diced peaches along with 2-3 Tbs. of their juices. Pour 3/4 cup dairy-free milk overtop each serving, stir in chia seeds if using. Cover and place in refrigerator overnight. In the morning you can add seeds such as pumpkin or sunflower, and stir slightly. Can be made a few days in advance. I like to make a big batch on Sunday, and eat it for a few days afterwards. The longer the oats sit with the peaches and their juices, along with the milk, the creamier and more flavour infused they get. Not a fan of cold oats? Go ahead and heat 'em up! Like a healthy peach cobbler for breakfast, ready in about a minute.